November 3, 2009, Middletown, NJ – In an unprecedented and historic move, Chris Christie put pen to paper last week and made an official campaign promise to citizens of New Jersey in support of vaccination choice. He further cemented his position on live radio with Don Imus, by becoming the first gubernatorial candidate to utter the words vaccines, autism and parental choice in the same sentence. 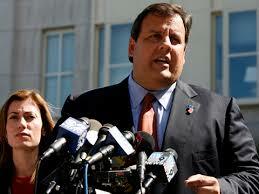 Vaccine choice supporters showed up in record numbers tonight to cast their vote for Christie. Mom Says To District: No Vaccines In Our Schools! This mom in Hillsborough County, Florida addresses her local school about the vaccination issue. Notice how with her voice being raised, this gave platform for others on the board to then voice their concerns and effect change in policy. The time to speak is now. The greater our voices, the greater the platform we give. Even scientists who helped develop vaccines say they are not going to take it, and urge their friends and family not to take it either, says Wayne Madsen, an investigative journalist and RT contributor. There’s no reason for panic over the H1N1 or swine flu virus, says noted neurosurgeon Dr. Russell Blaylock. 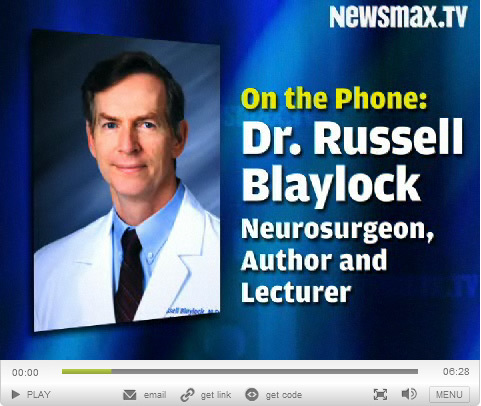 The swine flu is not only much less deadly than many health organizations would have the public believe, it actually is no more dangerous than seasonal flu, Dr. Blaylock told Newsmax’s Ashley Martella in an exclusive telephone interview See Dr. Blaylock on Newsmax.tv – see below. In the light of dire predictions by the World Health Organization (WHO) and the Centers for Disease Control (CDC), sixty of the world’s leading virologists were questioned about the swine flu pandemic. “According to the people who know the most about this virus – not the WHO and CDC who are both heavily funded by the pharmaceutical makers of vaccine – the virus appears to be relatively mild. Deaths are extremely low for a worldwide virus,” says Dr. Blaylock, author of the Blaylock Wellness Report. Want assurances from your physician or pediatrician about vaccines? Here’s a form designed by Ken Anderson you can give to any doctor for filling out – although there is probably no physician anywhere on earth who will sign it. As a divinely souled man or woman, you are not required to contract with *anyone* against your will. Once we really get this, their jig is indeed up. Below is the source text in full, for customizing your own. Have fun! Vaccination Quotes: What Do The Experts *Really* Say? Below is an NBC TV News interview on a landmark US court case proving the MMR vaccine caused their child’s brain damage. The Zeller family state that within days of little Ben’s MMR shot, he began changing drastically. A week later he almost died when he had a feveral seizure and stopped breathing. Subsequently the little boy was declared “permanently brain damaged” by doctors. In this landmark decision against the US Secretary of Health and Human Services dated July 30, 2008, the court ruled in favour of the family, finding that Ben would not have experienced the seizure disorder without the administration of the MMR vaccine. The Zellers may receive tens of millions of dollars in compensation for damages to their son Ben, caused by the vaccine.